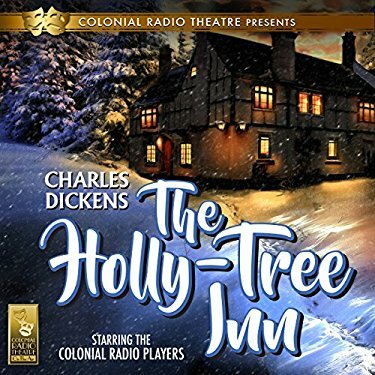 The Holly-Tree Inn is an hour-long audio drama produced by Colonial Radio Theatre: On The Air in the lush Dickensian style of its source material. The story follows a well-traveled man fleeing his past of recent heartbreak. 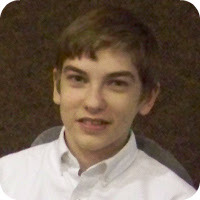 On his journey to get away and distract himself from his grief, a snowstorm forces him to stay at the Holly-Tree Inn. The script was written by Barry M. Putt Jr. and it was directed by Jerry Robbins. On Christmas Eve, a traveler finds himself waiting out a snowstorm at the Holly Tree Inn. While passing the hours waiting for the weather to pass so his coach can continue its journey, the warm hearth of the inn brings his mind to roam to pass recollections, both happy and grave. He also ponders the true meaning of his current journey and reason for his melancholy: the woman he planned on marrying is, instead, going to marry his best friend. However, the delay at the inn is about to bring him a miraculous discovery. The dialogue is not realistic - however, it is not unbelievable. This is because much of the dialogue is from Charles Dickens' original novel, and therefore written in the old Victorian style. The actors sold it without overdoing it or making themselves sound stilted. 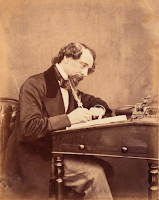 The older style of language is usually a bit harder for young ones to grasp, but there is a richness to it that we do not often find in modern literature. A minor caution for parents is that some of the stories that the main character tells are surprisingly violent. Several of the stories end in violence, though they are not described in great detail. For example, there is a story of an innkeeper who turned his patrons into pies. Depending upon how sensitive your kids may be, a prior listening may be wise. Justice is usually served at the end of the tales. Another extensive story told to the main character by the residents of the inn is about an odd little romance between two children, which cannot be called inappropriate, but certainly unusual. This is the only one of the narrations which is told in dramatized form. This brought much more life to the story and to the audio drama as a whole. The sound effects are not plentiful – a large portion of the audio drama is of a man narrating his stories – but when used, the effects are tasteful and evocative. The very first scene of a man driving a carriage through a wintery storm is my personal favorite. It is the most atmospheric (no pun intended!) and illustrative in the whole show. For those who have not read the original story, you may find that some of the stories drag a bit. Since the majority of the story is spent on these narrations I could not help but feel that I wished to hear less of these tales and more of the main character and his own story. His story is more or less a bookend to a collection of these other tales. However, the audio drama is a faithful adaptation of the short story, and in that aspect it is very admirable. It is not a dramatized audiobook, but much of the dialogue is verbatim. Listeners who wish for an unabridged adaptation will not be disappointed. 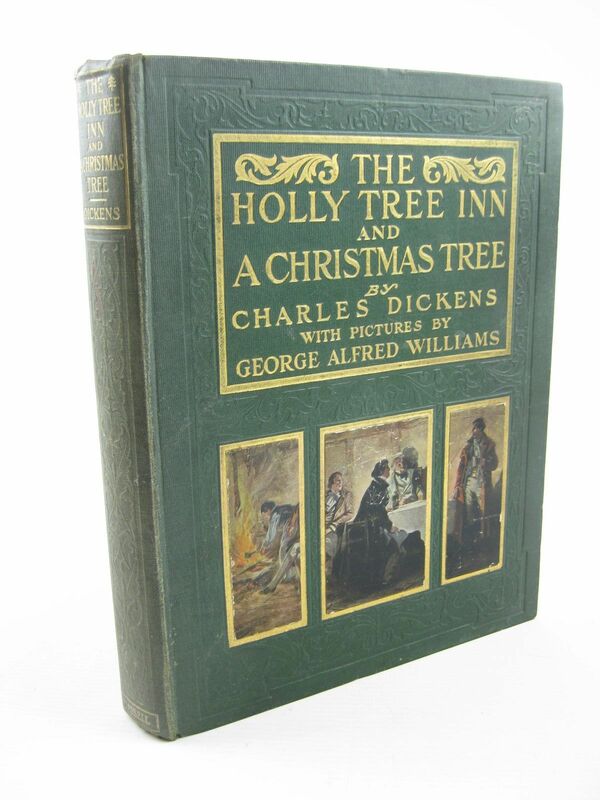 One of my favorite things about this audio dramatization of The Holly-Tree Inn is the music, composed by Jeffrey Gage. It sets the mood excellently while simultaneously “feeling” like just the right music to a Charles Dickens story. Almost every audio drama uses music only as a bridge to other scenes. Music is usually the unnoticed part of audio dramas, but it deserves to be more than that because it is so powerful. 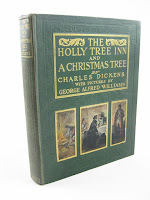 Additionally, a Christmas song in The Holly-Tree Inn helps to bring the story alive. The life that Colonial Radio Theatre gives the story makes this a satisfying and very worthwhile dramatization. 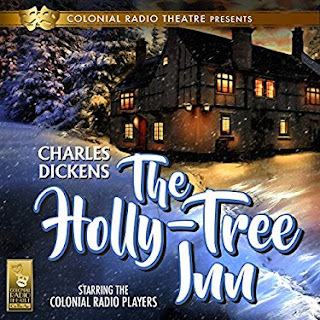 Overall, The Holly-Tree Inn is a great adaptation of a short story that works well for the medium of audio drama. Download your copy of The Holly-Tree Inn from our partners.